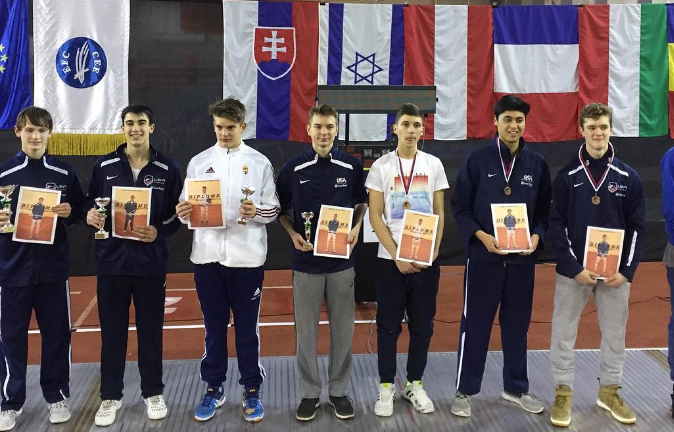 Congratulations to Anton Chmut for winning Gold in Team and Bronze in Individuals at the Cadet European Cup in Bratislava, Slovakia! 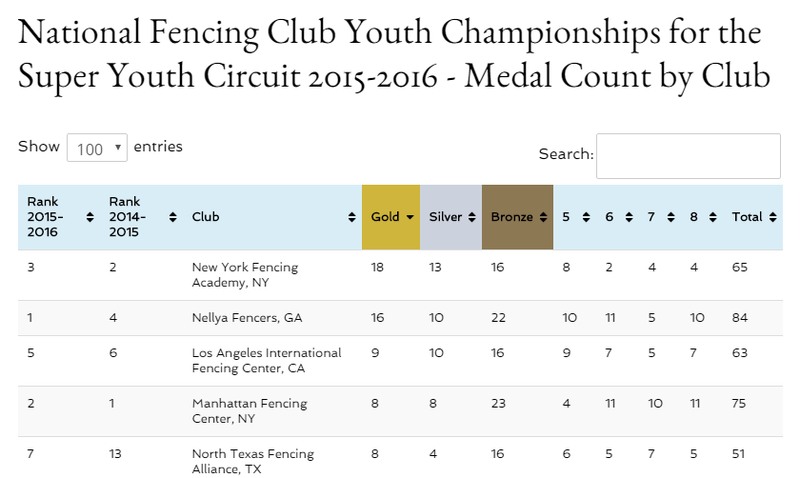 Anton has been working hard towards this result since he was 10 years old. He continuously progressed and we are happy he is finishing his last cadet year on such a great note with amazing results! 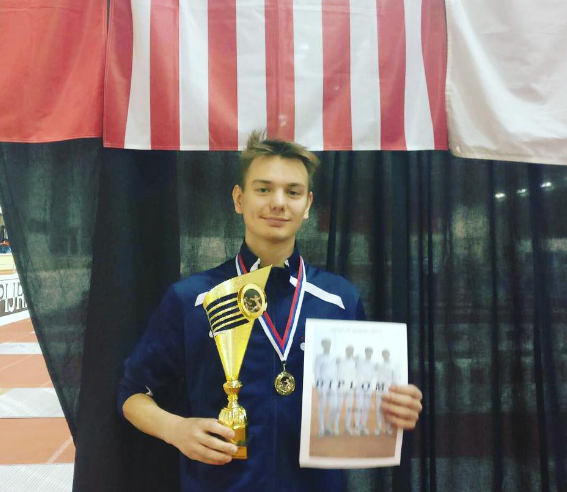 Anton started competing internationally last year. 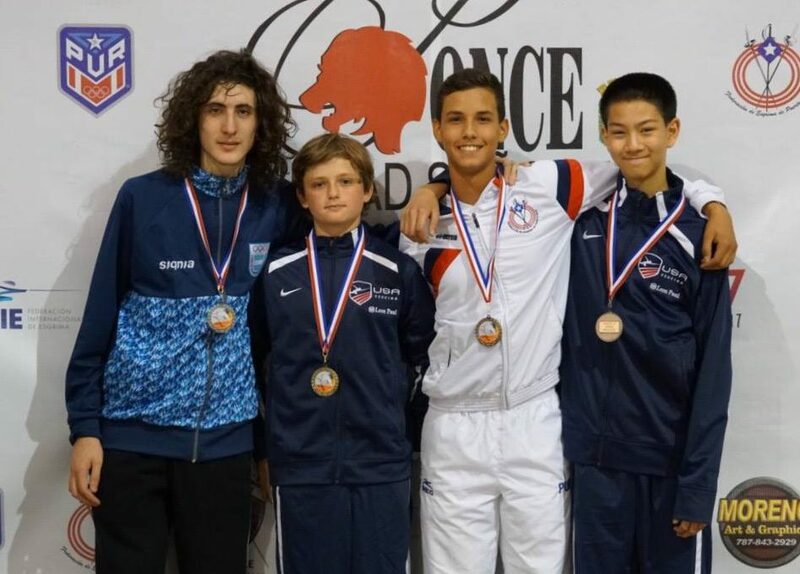 He fenced a total of 5 international events improving in every one. He made top 64 in his first year, and this year went from top 64 to top 16 and finally top 4. 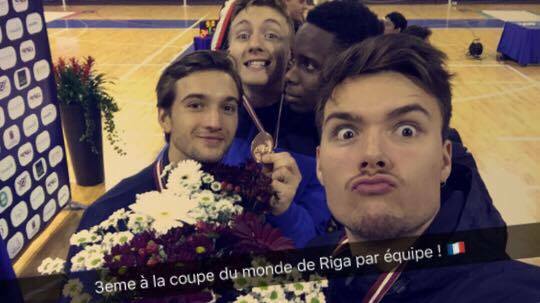 For his bronze medal, Anton beat all of his opponents in pools. 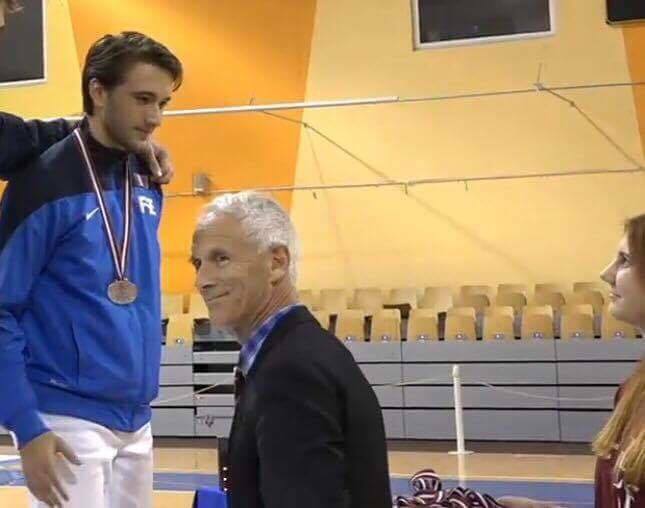 He then defeated Polish fencer Mikolaj Radosz in the round of 128, topped Robert Pierson-Bartel from Hungary with a score of 15-6 for top 32, and beat his opponent from Lithuania 15-11 for top 16. 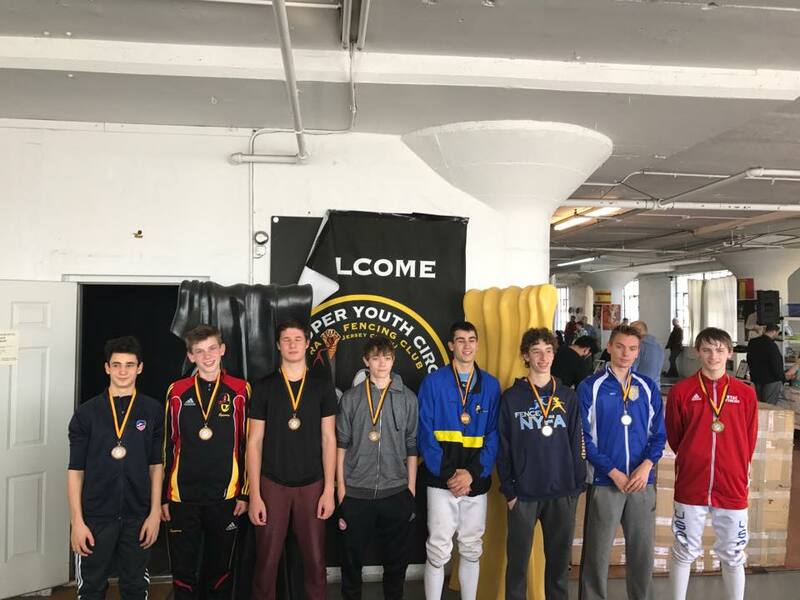 For top 8, he faced a strong fencer from Ukraine, Dmytro Samoilov. Anton was losing 4-1 but managed to change the course of the bout with a decisive win of 15-8. The bout for top 4 was against Romanian, Mihai Bigea, and Anton won strategically 6-4. 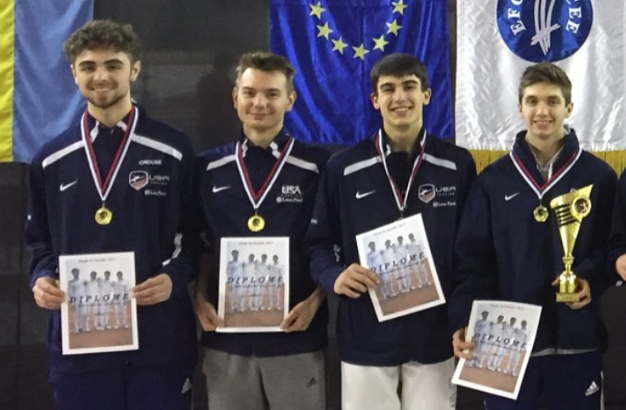 The next day, Anton took gold in the team event, representing USA out of 35 teams! 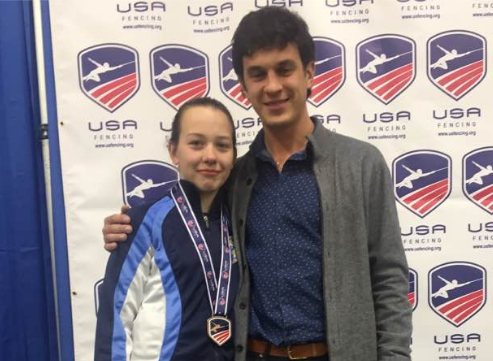 Anton is a persevering and dedicated fencer, and we hope he continues to improve so he can fight for a spot on the Junior National Team. 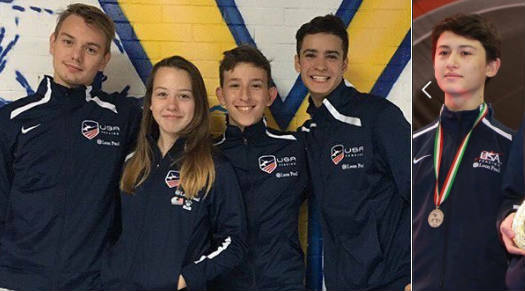 New York Fencing Academy is proud to have fencers in the top 4 at every cadet designated international event this season! 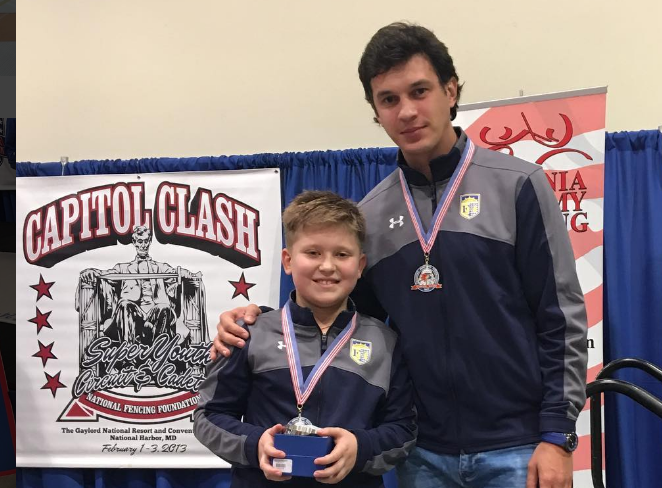 Alan Temiryaev is ranked the #5 cadet in the world and Anton Chmut is #15 cadet in the world! 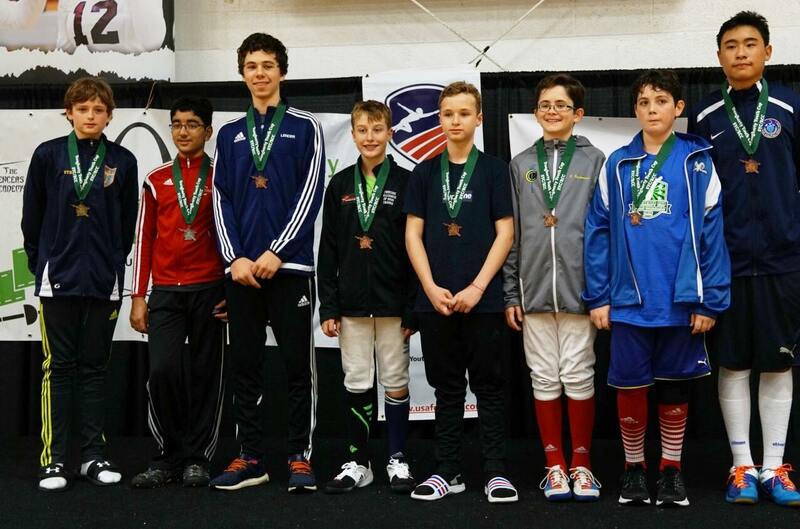 Congratulations to our athletes who made Top 32 at the November NAC in Milwaukee and especially to our medalists! 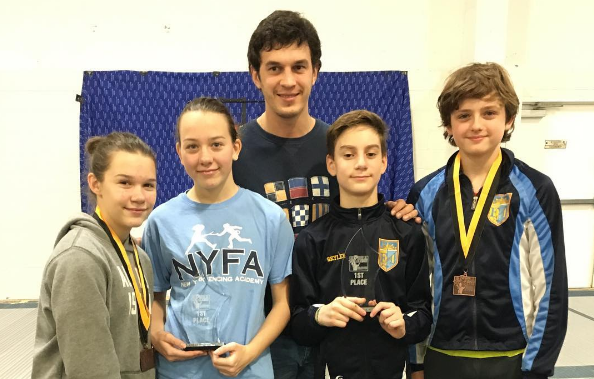 Youth: Don’t forget the NYFA Youth Challenge #3 is this Sunday, 11/20!